The introduction of the Breeding Bird Survey, in partnership with JNCC and RSPB, was an ambitious step for the BTO. Instead of encouraging volunteers to send in Common Birds Census maps from a favourite birdwatching area, we sought to recruit ten times as many people to go to randomly selected one-kilometre squares and count all the birds they saw and heard. The fact that over 3000 people do this every year is wonderful, allowing us to provide monitoring information for 108 species at the UK level and increasing numbers of species for its constituent countries and regions. For decades, gardens and other human-related areas were considered to be less relevant to the BTO than natural habitats. Short-term garden surveys had been organised but it took until 1995 for a sustainable all-year survey to be launched, fuelled by participants’ annual fees and with early support from CJ WildBird Foods. 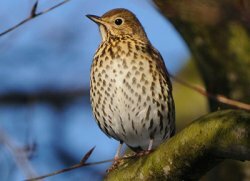 If any birdwatcher gets sniffy about garden birds, gently tell them that the estimated population of Song Thrushes in our gardens is 300,000 pairs, more than in all farmland. Show them a copy of the excellent Bird Table magazine too, with fascinating insights into the way that different species such as Great Spotted Woodpecker turn to gardens in different seasons. Thetford has been a great centre for research into the way that birds use arable farmland. Having recognised that the presence or absence of stubbles has a major influence on the distribution of wintering birds, such as Yellowhammer and Skylark, a three-tier approach was used to establish both the amount of stubble that birds need and the best cropped fields to leave as stubble until spring. These findings, based on intensive work by a PhD student, detailed observations by BTO staff and the efforts of over 1000 volunteers who took part in a national Winter Farmland Bird Survey, have influenced farm subsidy systems. Other work has compared organic and conventional farming methods and looked at how adding pastoral farming within an arable land-scape (and vice versa) can increase biodiversity. The BTO now has offices in Scotland (Stirling), Wales (Bangor) and Northern Ireland (Bangor), using different models that are tailored to the needs of each country. 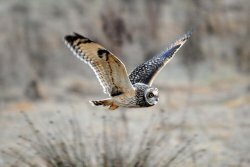 The well-established Scottish office is leading on the BTO’s upland research, with recent work on Short-eared Owls, for instance. To develop the work further, we have launched What’s Up!, to encourage hill walkers to count birds for us. In Wales, we are trying to understand why chat and Wheatear numbers are in decline , whilst Northern Ireland is a focus for breeding seabirds. The Internet has hugely increased the BTO’s capacity to deal with data and talk about our work, via the website, e-newsletters and blogs. BirdTrack, originally launched as Migration Watch in 2002, is now a partnership of the five major birdwatching charities across Britain & Ireland. Today’s Kingfisher record can be entered today and available online to you and for researchers – it’s another dot on the map. The other form of tracking that has come to the fore in the last few years involves individual birds such as Cuckoos and Nightingales. What are the limits of these new in depth techniques which follow the lives of a small number of birds?